Milk contains a blend of casein and whey, which have amino acids in a pattern similar to muscle protein. Milk is quite a dilute recovery drink, in that 100ml provides just 1.7g of protein and 4.5 of carbohydrate. But, the advantage is that (skimmed milk) makes it easy on the stomach making it less likely to cause stomach bloating or stress. (benefits of milk at Bike Radar) Milk also has many micro-nutrients that are helpful. 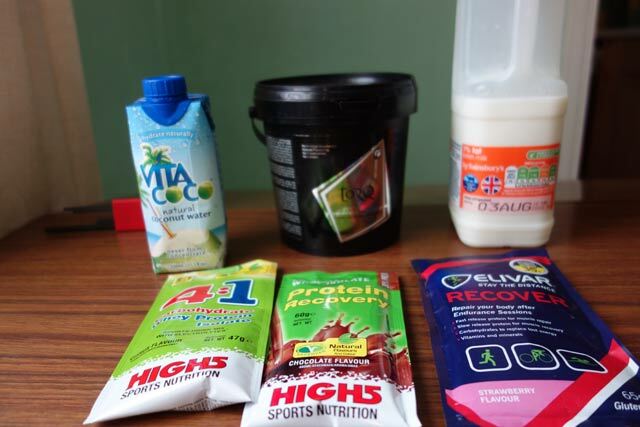 I sometimes get a soya based recovery drink, more for variety than anything. I find the problem with too much whey Protein is that it can make you a bit windy, if you know what I mean. 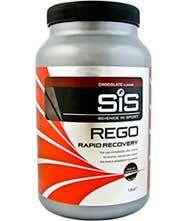 I was impressed with this recovery drink. It is a mixture of complex carbohydrates, soy protein, and electrolytes. There’s a long list of ingredients which makes you feel it must be doing a lot of good things. Tasted a bit like the soy protein powders I used to take – which is fine. However, quite a few studies suggest soy is not as effective as whey based recovery drinks, so I haven’t used this for a while. 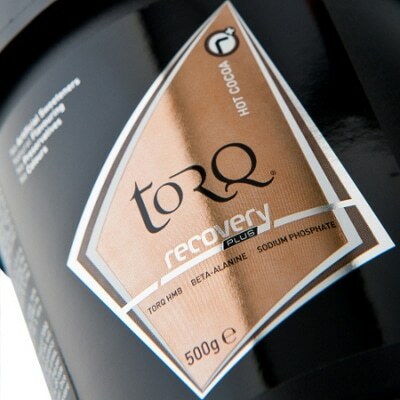 I quite like the Torq recovery plus. You make it like hot cocoa; it is particularly appealing in winter after a long cold training ride. In summer a hot drink is less appealing, but I’ve got through quite a few tubs during winter training. Coconut water is good for replacing lost electrolytes and de-acidifying the stomach. It is worth having a few in the fridge on hot days, it can be quite refreshing, especially when you fancy something different. The Elivar recovery drink is formulated for over 35s. It has the highest ratio of protein to carb 1:1, and doesn’t contain any fructose. I reviewed Elivar drinks here. After a race or long ride, you don’t feel like eating, but, the first hour after a ride is said to be the most important time for taking on food and water. The alternative is often eating cakes on sale at races. These drinks are better for you in that they are not just simple sugars. I find when you’re looking for snacks you often end up eating just simple sugars which are not very good for you. Electrolytes help replenish lost salts. Usually, after a race, I’m driving home. A recovery drink is easy to sip on the way home. It is better than waiting an hour or longer before starting to eat. Easily digestible on the stomach. Psychological benefit to taking an expensive recovery drink helps you think you are maximising your recovery from a hard session.